Senior county councillors have a backed a 4.95 per cent council tax increase for Lincolnshire. It means the rate for an average band D property is set to rise from £1,231.47 to £1,292.40. Councillors on Lincolnshire County Council’s executive backed the move which will see the general rate increase by 2.95 per cent with an additional two per cent adult social care precept. The authority had proposed a 3.95 per cent hike back in December 2018, but tabled a further one per cent increase amid funding concerns. Now, the hike is expected to get final approval at full council later this month. Meanwhile, the authority is expected to see further cuts in grants from central government. Money from the council’s revenue support grant, which is the main source of funding from government, is expected to fall to £20.139 million. It means the authority will have seen a £50.212 million cut in its grant over the past four years. As a result, the county council has forecast a shortfall in its budget of £3.087 million. But the authority has proposed to dip into its reserves in order to balance the books. Council officers said the move would “smooth the effect” of government cuts. 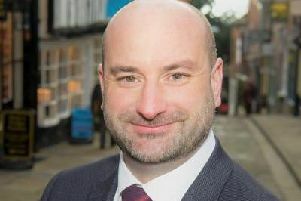 County council leader, Martin Hill, said, compared to other authorities, the council was “in a better position” but still faced uncertainty. “The position has improved from December,” he said. He added that the government needs to clarify its funding position for local government. Meanwhile, Coun Colin Davie, executive member for economy and place, said Whitehall needs to come clean on funding for the county. “This is a prudent position considering the uncertainty going into next year,” he said. “But the government needs to get a grip on the fairer funding issue and we need a long term plan and vision.